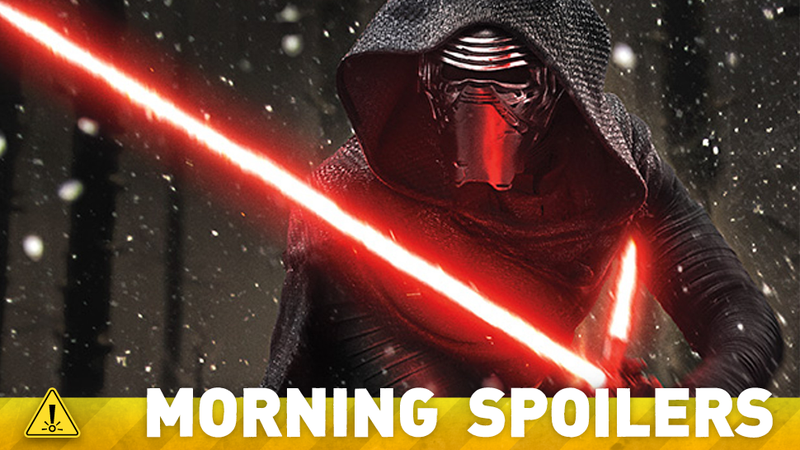 Who is Kylo Ren working for in Star Wars: The Force Awakens? Seminal British historical comedy Blackadder could be making a comeback. The Flash casts yet another speedster from the comics. Plus behind the scenes on Ash vs Evil Dead and Heroes Reborn. To me, my spoilers! Kylo Ren is not a Sith. He works under Supreme Leader Snoke, who is a powerful figure on the Dark Side of the Force. [The First Order] came out of conversations about what would have happened if the Nazis all went to Argentina but then started working together again?’” Abrams reveals. “What could be born of that? Could The First Order exist as a group that actually admired The Empire? Could the work of The Empire be seen as unfulfilled? And could Vader be a martyr? Could there be a need to see through what didn’t get done? Meanwhile, more casting news—Entertainment Weekly has confirmed that Malese Jow will return as Barry Allen’s brief love interest Linda Park, while ComicBook.com has revealed that Demore Barnes will play Henry Hewitt, the Firestorm comics villain Tokamak. There’s a French word that the Doctors are repeating over and over. I can tell you that Season 5B is a clash of titans, and both of the titans in that [drawing] are … well, one of them is somebody you already know. The one surrounded by fire. I do think a new series of Blackadder is on the cards. I have spoken to virtually all the cast about this now. The only problem is Hugh [Laurie]’s fee. He’s a huge star now - or so he’d like to think! Expectations for a new series will be high because people not only remember the original, they remember who they were when it was on. It’s a big danger. Additional reporting by Gordon Jackson and Charlie Jane Anders. Top image: Star Wars: The Force Awakens.